Reindeer herder camp. 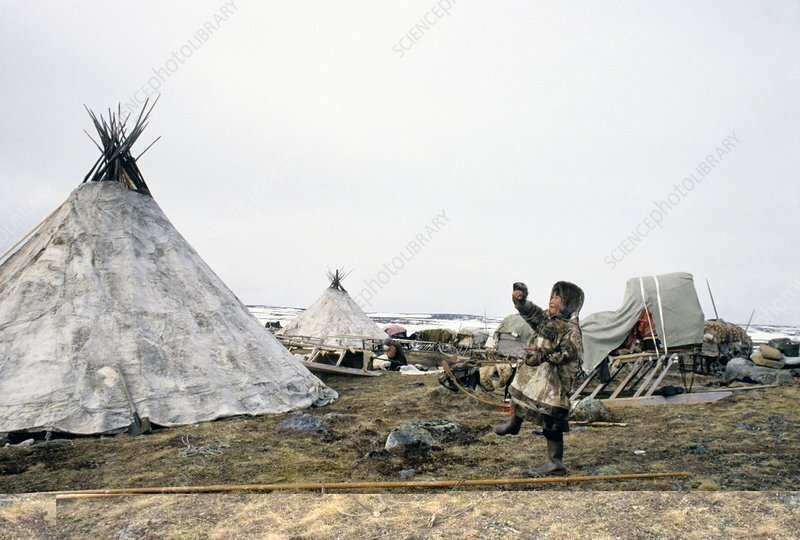 Young reindeer herder playing outside teepees at their camp. Photographed in the Ural Mountains, Yamalo-Nenets Autonomous Okrug, Russia.